Speed bumps are very effective when it comes to limiting vehicle speed. However, running into a speed bump at a deliberately high speed can cause accidents and damage. Make sure that this won’t happen by putting up traffic and regulatory signs. When installed properly and in relation to the exact location of speed bumps, motorists will be instantly aware that they need to control their speed and drive more cautiously. 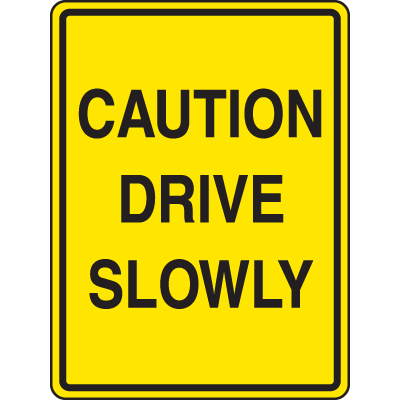 Part of Seton’s selection of traffic and regulatory signs, our speed bump signs come in yellow background with bold black font to guarantee maximum visibility. Speed bumps are useful traffic control tools specifically designed to implement speed limits. But when installed improperly or without a brief warning for motorists, these traffic control devices can cause a lot of trouble. You need to make sure that speed bumps are highly noticeable and compliant with the set guidelines pertaining to the accepted elevation and width requirement. 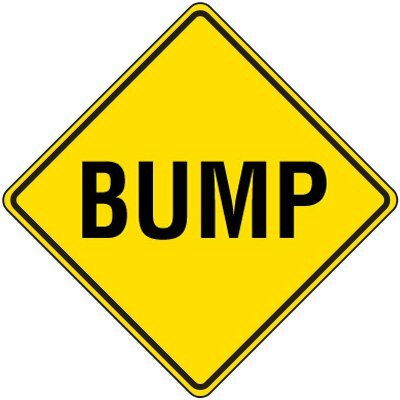 More importantly, you need to install speed bump signs to provide drivers ample warning when they are about to approach speed bumps. Don’t give drivers a bad surprise by not letting them know of oncoming speed bumps. By posting Speed Bump Signs, motorists will be able to control their speed before actually rolling over a speed bump. 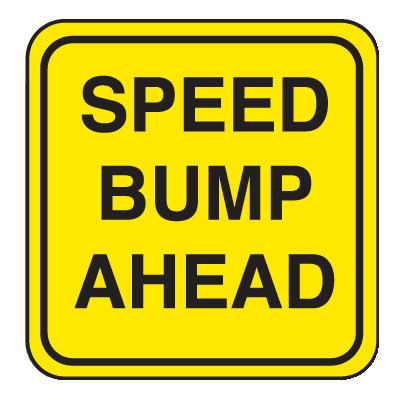 Check out Seton’s large selection of speed bump signs. Choose from a variety of signs made from weather-resistant aluminum or durable plastic, both are guaranteed suitable for outdoor use and can withstand harsh conditions. We also carry semi-custom speed bump signs if you have more detailed requirements for your speed bump signs. We also carry reflective signs that you’ll find extremely useful even at night.